Wainwright, in setting out his English coast-to-coast route, saw ‘do-it-yourself’ not as a prescription but as an inspiration, promoting to the general reader the idea of making their own way from east coast to west. Today, thousands worship his route from St Bees to Robin Hood’s Bay; but who charts their own? 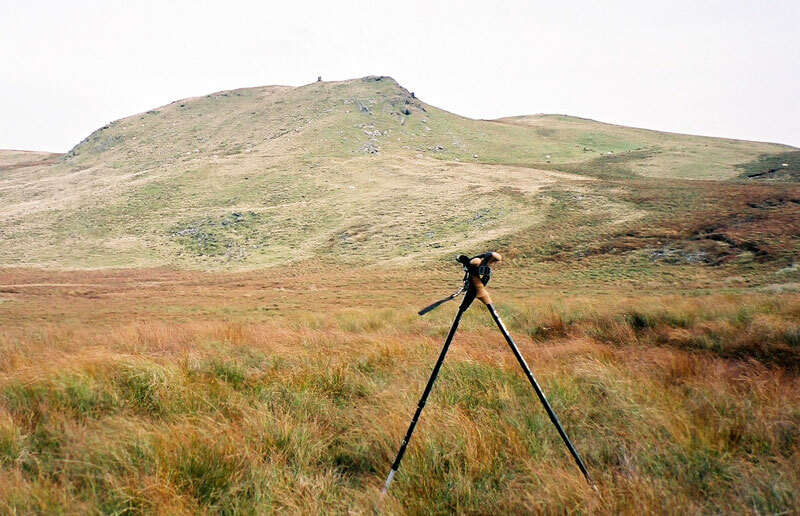 I fancied walking across Wales some years ago – a successor to Offa’s Dyke, and a prelude to walking across England and Scotland. But whose route to choose? There are two Cambrian Ways, one by Tony Drake and another by Richard Sale, but neither fitted my bill; the former is too unremittingly mountain, and the latter is north to south, which to my mind is towards home. This also took out Gilham’s beautiful Snowdonia to the Gower route, and the retracing of Sarn Helen by Cantrell and Rylance. I’d also found another south-to-north walk, St David’s Walk, on the web, but it’s further west than I wished. In these circumstances the only alternative was to honour Wainwright’s route-making spirit and make my own. I knew I wanted to cross the Brecon Beacons, Plynlymon, Cadair Idris, and the Carneddau, which I had not climbed; I was keen to get close to the barely trodden moorland of mid-Wales; and in Snowdonia, was happy to sacrifice Snowdon itself and even the Glyders – all absolutely top-notch, but all ‘ticked off’ – in favour of lesser known areas of that national park. If the Carneddau are to be crossed, then somewhere between Conwy and the Aber falls are obvious northern finish points. But where in the south? Sale and Gillham choose the Gower, Drake Cardiff, and Cantrell/Rylance Carmarthen. Research found what was then called the Sirhowy Valley Walk – it’s since been renamed the Sirhowy Valley Ridgeway Walk – starting from the first major town of south Wales coming from London, Newport. The Sirhowy Valley Walk is interesting in many respects, weaving good moorland with evocative industrial and social history. It also points directly towards Brecon via the Beacons. So between them the Valleys and the Beacons made stage one, in 2002. Stage two, across mid-Wales in 2003, gave me hours of map pleasure, working alternatives through barely-frequented drove roads and finding a wonderful but unexpected natural line through the Welsh Lake District to Devil’s Bridge. In part this uses Drake’s route. Stage three, 2004, combines Drake and Sale across Plynlymon, the often-forgotten Tarrens, and Cadair Idris, but to Dolgellau not Barmouth. Stage four took me through magnificent northern Snowdonia, across hills I did not know. 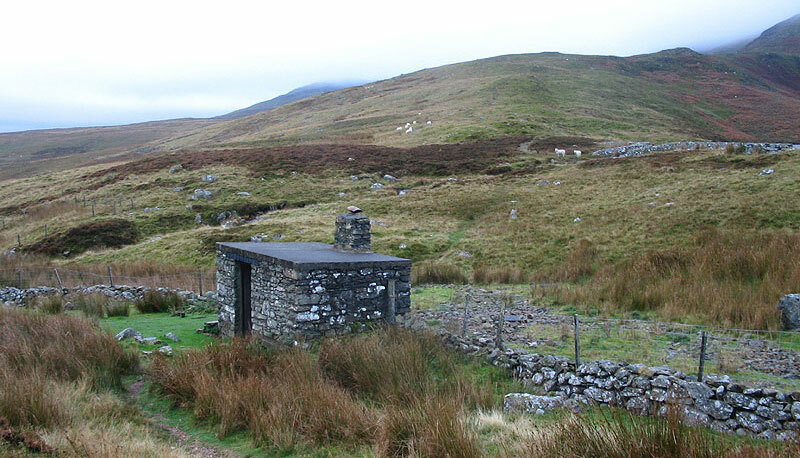 In 2005, I crossed the relatively rarely-walked Arenigs, with my first bothy night included, and the Migneint to Moel Siabod, before reaching Capel Curig. I came back the next year for a short hill-walking break described in my pages on the 3000ft mountains of Wales, which culminated in Sale’s traverse of the Carneddau, down to the sea at Llanfairfechan. In total, the walk is 213 miles long. For a table of distances and times, go to my Cross-Wales table (PDF file, Acrobat Viewer required). Newport has inter-city rail. There are frequent bus services in the valleys including Blackwood and Tredegar. Brecon’s network of bus services includes a direct link with Cardiff. The Heart of Wales railway runs close to Builth Wells. Two of the ‘Little trains of Wales’ now feature. The romantic way to Devil’s Bridge is on the Vale of Rheidol railway, but when I was there there was a reasonable bus service linking the area to Aberystwyth, which along with Machynlleth (buses to Dolgellau) is on the mid-Wales line. After ‘Mach’, the walk passes Dolgoch station on the Tal-y-llyn railway – there was time for a quick trip up the line and back again. Dolgellau is another bus nexus, but then there is no regular service until Penmachno. Things are much better in Snowdonia; Dolwyddelan has train as well as bus, and the Sherpa bus service serves Capel Curig and its valleys well. 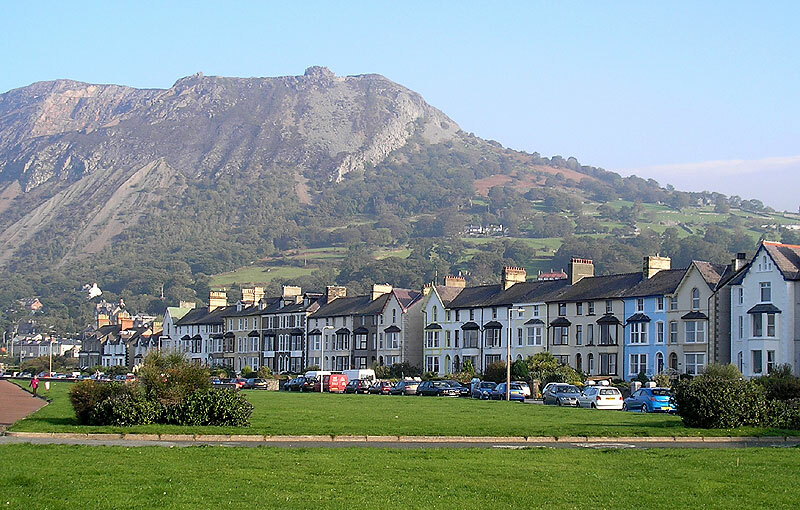 Llanfairfechan has good bus and train services either east or west along the coast. One needs to take care on a long solo trek like this, over varied ground and remote country. It’s easy to relax in safer surroundings. The day after Capel Curig in October 2005 I returned home; leaving the train at my local commuter station I put my right leg between train and platform, wrenching it round and smashing the kneecap against the coach. Scan showed no tear, thankfully, but even after physio a little discomfort remained. However, the medics encouraged me to get on with things, and I was back in Snowdonia twelve months after the accident. No significant problems with it since; count it as a lucky escape.